The cute-as-a-button BMW 600 was a four-seat, we repeat, four-seat microcar produced by BMW from mid-1957 until November 1959. It was the perfect little car; except perhaps for well-endowed passengers. 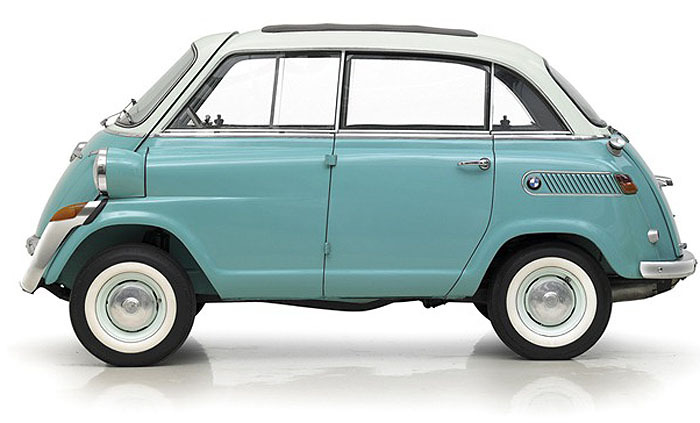 Partially based on the BMW Isetta two-seater, it was BMW's first postwar four seat economy car. 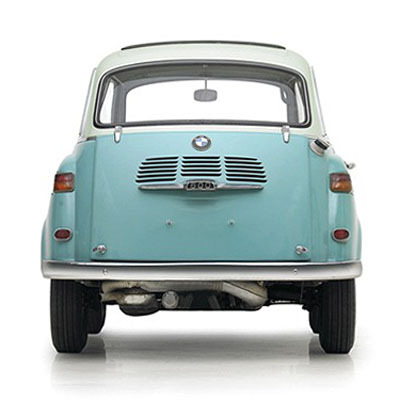 Public response to the little BMW 600 was gratifying to BMW, but as its shortcomings were also pointed out at this time ("too small"), it was decided to go "up a class" and produce a larger car with room for four. Management by May 1956 had already committed to the introduction of the BMW 700, a totally new design, by 1959, so the 600 was seen as an easily produced interim model using already existing Isetta production equipment. The 1956 prototype did indeed look like a stretched Isetta, with its stock 2-tone front door and Isetta bumpers, but with the wheelbase lengthened by 165cm and R67 boxer motor driving full-width axles. August 1957 saw the proper introduction of the model, to universal acclaim. Stylish looks (Michelotti had been involved) with its new "knife edge" bumpers, fantastic room inside with rear seat access by a side door, and the motor no longer sat in the passenger compartment. It was quiet, its wheel at each corner design gave a great ride, and there was sufficient power for hill-climbing. It was even available with a Saxomat automatic transmission. It was pricey, however, at 200 Marks more than a VW Beetle. Plans for multi-tasking the car a la Multipla remained in the drawer. Despite all its virtues, excellent build quality, space utilization, and ride quality, there was no denying that by 1959 the population wanted a normal-looking "real" car, and in particular the new in-house BMW 700, which was to eventually sell to the tune of 182,000 examples. At the end of 1959, after only 35,000 examples had been built, the 600 was phased out in favour of the 700. 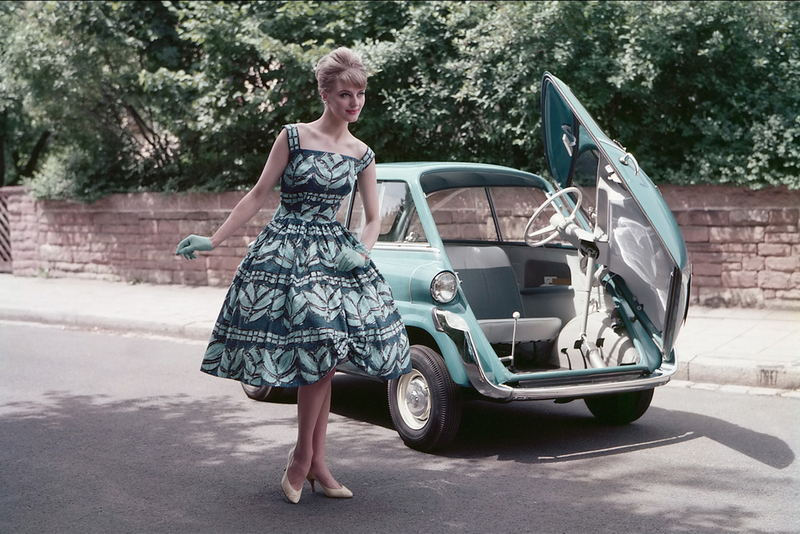 The original Isetta, despite a 1959 company memo declaring that "it belonged in a museum", would continue to be built for another three years, and in England five.